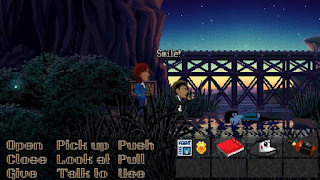 Thimbleweed Park is a modern day point and click graphic adventure title that is a spiritual successor to Maniac Mansion and The Secret of Monkey Island by those games' designers, Ron Gilbert and Gary Winnick. 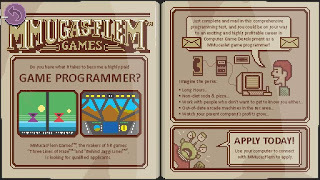 It is a throwback to those simple, but fun designs of the eighties-era adventure games, and would be treated as an unreleased entry in that style of game. 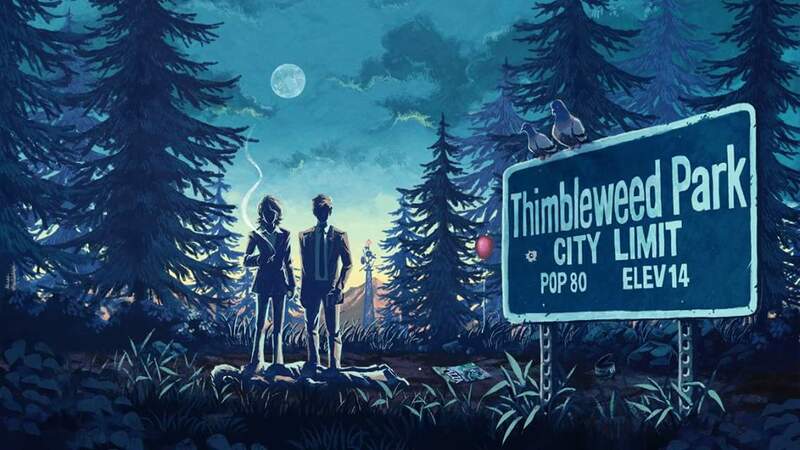 Just as Maniac Mansion called on tropes of campy horror movies, Thimbleweed Park draws it's inspiration from supernatural and noire detective shows such as The X-Files, Twin Peaks, and True Detective. 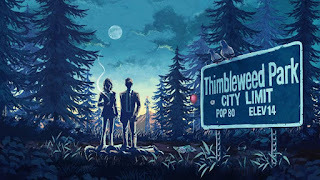 The first of which is immediately obvious when you catch your first glance of the protagonists of our story, Ray and Reyes, whom have been assigned to the sleepy town of Thimbleweed Park to investigate a murder. It becomes apparent very quickly that nothing is as it seems about our protagonists, and that this is no regular sleepy town. 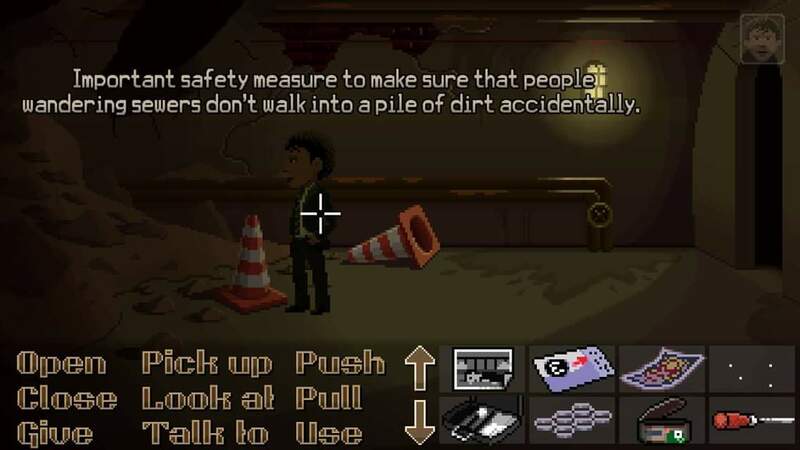 You explore the town speaking to various characters, asking questions and collecting objects to hopefully be utilized in puzzles as you make your way through the game. 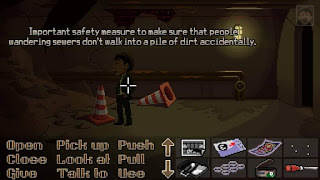 As you discuss the case with the residents about town, you will be given the ability to control other characters relevant to the case at an earlier point in history, and you will have puzzles to solve in their timelines, as well. 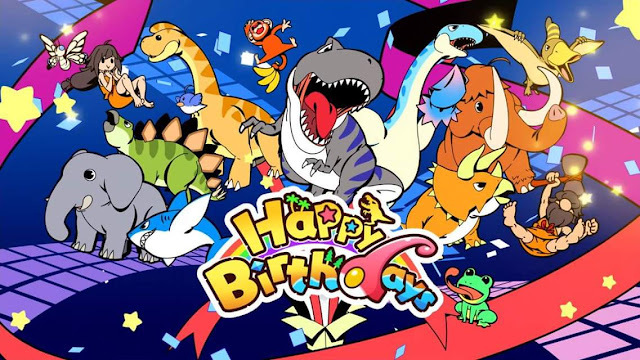 Fortunately, most of the puzzles are a bit more easily figured out than in the earlier games, but there is still a fair amount of difficulty to be found. There are quite a few head scratchers, but the game also gives you the ability to play on two different difficulty settings. One of these difficulty settings is casual, which removes some of the more elaborate puzzles, so you can then enjoy the game's intriguing story and it's....colorful characters. 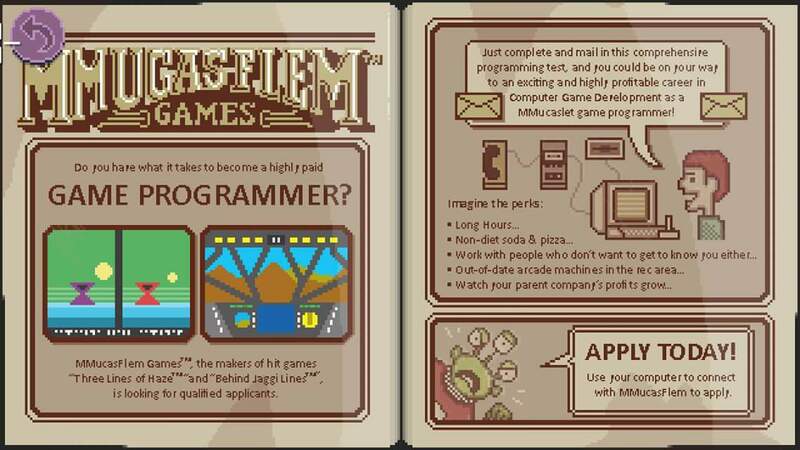 The writing in Thimbleweed Park hits on all cylinders. It is ludicrous, and wildly entertaining. 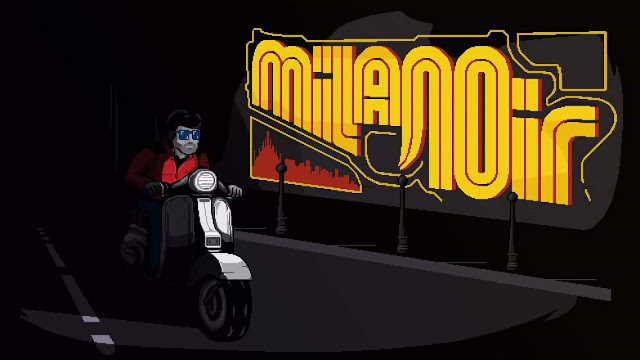 You will interact with a number of quirky characters that all have their own unique personality that gives life to the town. The old, familiar humor and delivery that you've come to expect is just as strong now as it was when the duo first teamed up. The controls are simple and intuitive, although the analog sticks as mouse are a little cumbersome until you get used to it. I preferred to play the game in handheld mode so that I could utilize the touchscreen controls. 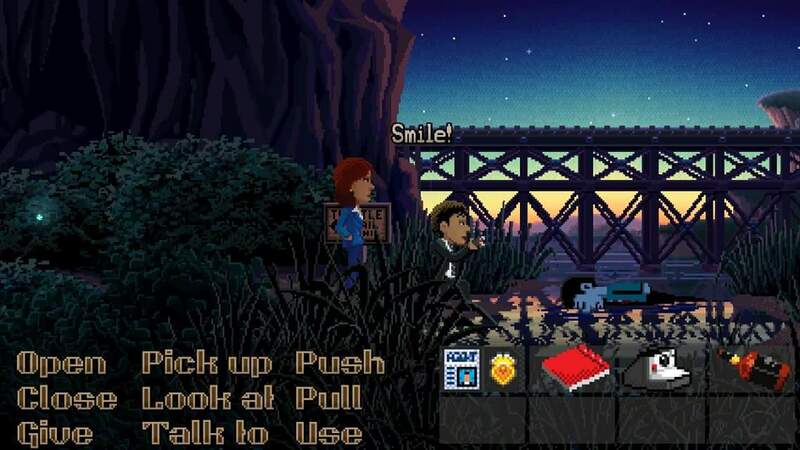 The game is a perfect fit for the classic series of point and click graphic adventure games produced by Ron Gilbert and Gary Winnick, and is a welcome addition to any Switch owner's library.